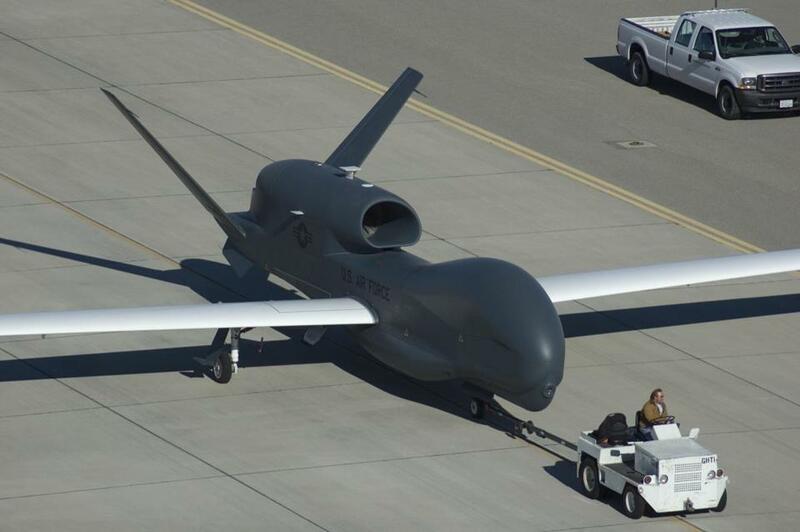 A Global Hawk drone was towed at Grand Forks Air Force Base in North Dakota. There is a common theme that connects recent protests in Turkey, Brazil, Egypt, and elsewhere. That theme is the rising discontent of the middle class brought about by the failure of their governments to deliver popular priorities. Apart from the brief Occupy Wall Street movement, people aren’t taking to the streets here in the United States. Nonetheless there’s growing evidence that some of the trends unfolding abroad also are at work in our own backyard. Last fall, a coalition of 85 grass-roots organizations, including teachers, veterans, unions, and community activists, placed something called the “Budget for All” on the Massachusetts ballot. The referendum urged the federal government to end the war in Afghanistan, reduce military spending, shift funding to domestic priorities, and increase taxes on the wealthy. Voters in the Commonwealth approved the measure by margins of nearly 3 to 1 in all 91 cities and towns where it was on the ballot, including many places that voted for Mitt Romney in the presidential race. The Legislature has now taken up the matter. State Senator Dan Wolf, Representative Carl Sciortino, and 34 co-sponsors have proposed a Budget for All resolution that calls on President Obama and the US Congress to embrace these priorities. In recent hearings at the State House, there was a sense of overwhelming frustration by people from all walks of life who profoundly disagree with the federal government’s taxing and spending policies. They are frustrated that the top 1 percent of Americans has grown extremely rich at the expense of the rest of us; that the national debt exceeds $16 trillion; that the country is mired in sequestration and fiscal cliffs and threats to Social Security while we spend $7 billion per month in Afghanistan; that we’re squandering the lowest interest rates in history instead of rebuilding crumbling roads and bridges. The voters of Massachusetts are on to something. There is ample scope to reduce military spending without jeopardizing national security, and to free up resources for local communities. Since 2001, the size of the annual military budget has grown by nearly $1 trillion, not including the wars in Iraq and Afghanistan. Over the last decade, we’ve spent more money on the military, in inflation-adjusted dollars, than at any time since World War II. Despite this influx of cash, our Air Force and Navy fleets and forces are older and smaller than they were 10 years ago. The defense budget is filled with obsolete, redundant, and underperforming programs and facilities that happen to be located in key congressional districts. The cost of new weapons programs is growing uncontrollably, and many don’t even work well. The Global Hawk, America’s largest and most expensive spy drone (cost: $220 million apiece), cannot be used in difficult weather conditions — so the Air Force is flying U-2s from the 1950s to carry out surveillance over North Korea when the weather is cloudy. The F-35 Joint Strike Fighter, which had an original price tag of $81 million per plane, has now doubled to $161 million each. The entire program has ballooned to $391 billion for a reduced number of planes, and is way behind schedule. Former Defense Secretary Robert Gates has estimated that 30 percent of the Pentagon’s budget is consumed by overheads and indirect costs. With these overheads hidden among thousands of individual line items, the current system makes it impossible for the department to monitor and control costs. The Defense Department has flunked its financial audit every year for the past two decades, and cannot account for billions in annual spending. The recent across-the-board cuts in the sequester won’t do anything to root out inefficiencies or to enable the Pentagon to spend more strategically. The core idea behind the Budget for All is that we can’t afford to continue spending 20 cents of every tax dollar on the military, regardless of whether the item in question is necessary or even good value. Instead, we should reset our national priorities towards more butter, fewer guns, and more equitable taxation. Voters are disillusioned with the gridlock in Washington and the iron grip of special interests. Congress needs to pay attention to the common sense of our Commonwealth voters. Linda Bilmes, a former assistant secretary of the US Department of Commerce, is the Daniel Patrick Moynihan senior lecturer in public policy at Harvard University.